Our hot air parts dryers are allow for baskets of manufactured parts which are process through aqueous parts washers to be dried thoroughly. Made of 100% stainless steel construction, these hot air part dryers are the highest quality in industry. 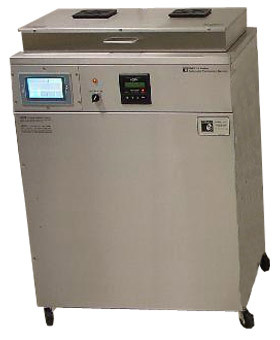 Our hot air dryer machine can be made in virtually any size, but our benchtop heated air part dryers are among the most popular due to their compact size and easy complement to our ultrasonic cleaning systems and passivation systems. General drying for maintenance, manufacturing, rework and/or remanufacturing. The hot air dryer machine system is commonly made in the various sizes below, but can easily make any tank configuration sizing required for your application with little to no additional custom size pricing.